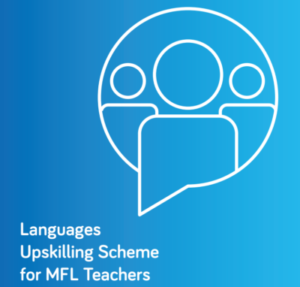 The MFL Teacher Upskilling Scheme was developed under ‘Languages Connect’ strategy to draw out the existing, unused ‘dormant’ language capacity in our schools. The scheme was aimed at languages teachers qualified in a language they are not teaching or are not teaching to full capacity. The idea was that with upskilling these teachers could get equipped to teach a language again after a period of not teaching it, or that they would be able to expand their teaching of the new language, perhaps moving from Junior Cycle teaching to Senior Cycle teaching. With upskilling, schools are able to expand their capacity in languages provision or add new languages that are available on the curriculum. MFL teachers in French, German, Spanish, Italian and Russian languages are currently availing of the upskilling scheme. If you would like more information then please download the guide.